The only female Republican presidential candidate is hoping her next home will be 1600 Pennsylvania Avenue, and if she wins the election next year, the White House will be the latest in a long list of places where Carly Fiorina has lived. As if her resume wasn't already impressive enough, Fiorina's life has unfolded across the globe — she has lived in three continents, four countries, and at least seven states. It's the kind of experience and global perspective that's admirable in a presidential candidate. Her experience abroad is more than a fun fact; it's a legitimate qualification because living in other countries makes people more flexible, creative, and complex thinkers. 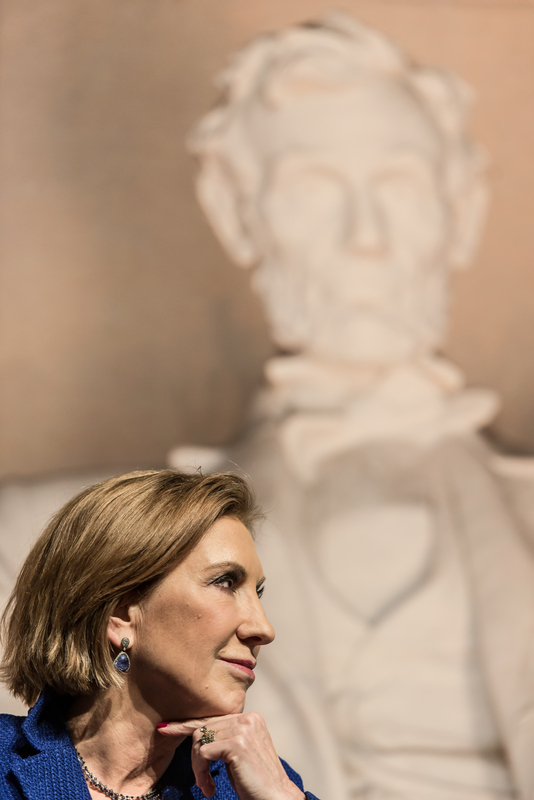 Not to mention, Fiorina would be the first U.S. president to have lived in Africa, which is just pretty cool. Fiorina was born in Austin, Texas, while her father taught at the University of Texas Law School. As a child, her family, including dad Joseph, mom Madelon, and siblings Clara and Joseph, moved often for her father's work. Fiorina attended school in Ghana and England, as well as California, where her father taught at Stanford, and in North Carolina, while her father was dean of Duke University School of Law. Fiorina then moved back to California to attend Stanford and earn an honorary membership in the Theta Xi fraternity for admiration of her "iron stomach." Upon graduation, she lived in Los Angeles for about a year, where she finished one semester of law school at UCLA before deciding law wasn't for her (the irony). At 23, she took off to Italy with then-husband Todd Bartlem to teach English in Bologna. The couple then moved back to the East Coast in 1978. Carly finished a master's degree in marketing at the University of Maryland and Todd worked for World Bank. Fiorina remained in Virginia as she divorced and remarried to Frank Fiorina, who has been her husband for 30 years. Her ascent up the corporate ladder at AT&T led to her hiring as CEO of Hewlett-Packard in 1999. She lived in Palo Alto, California, to head up the company, and she and Frank remained in California for at least 10 years (Fiorina had an unsuccessful bid for one of California's Senate seats in 2010). At some point, though it's unclear when, she lived with her family in New Jersey, as she states in her memoir, Tough Choices. Fiorina's current residence is Mason Neck, Virginia, just outside Washington D.C., in a $6.1 million house with views of the Potomac River. But she's dreaming of moving 30 minutes northeast into a big white house — she'll know in less than a year if she can move in.